Happy Valentine’s Day from all of us at Villa di Maria! 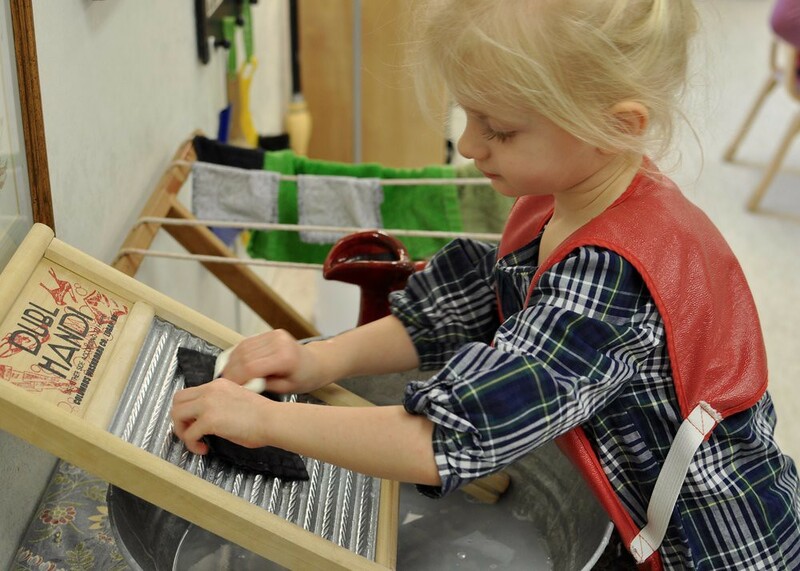 Though we’ll share some special photos of our Valentine’s celebrations tomorrow, today we’ll take a peek into Heather Steinman’s primary class and the work of washing cloths. 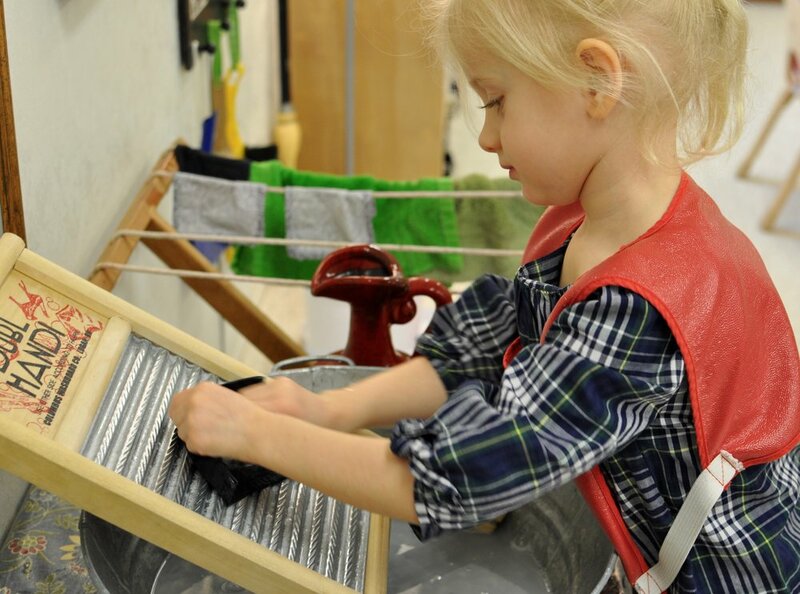 Cloth washing is a lesson in concentration and practical life, but it is also a way to contribute to the entire classroom, much like the work of folding cloths, which we discussed here. 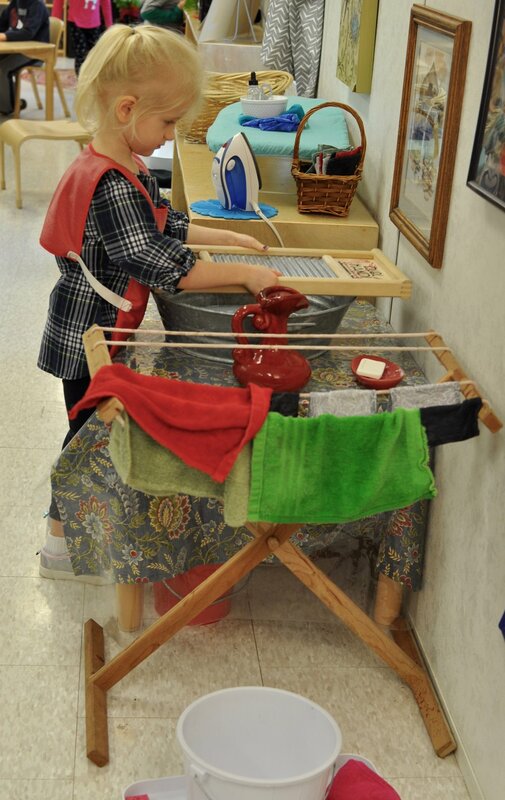 The cloths that were seen in that post were a variety of cloths: those used for cleaning up spills, those used for dusting or polishing, or for many other activities in the classroom. 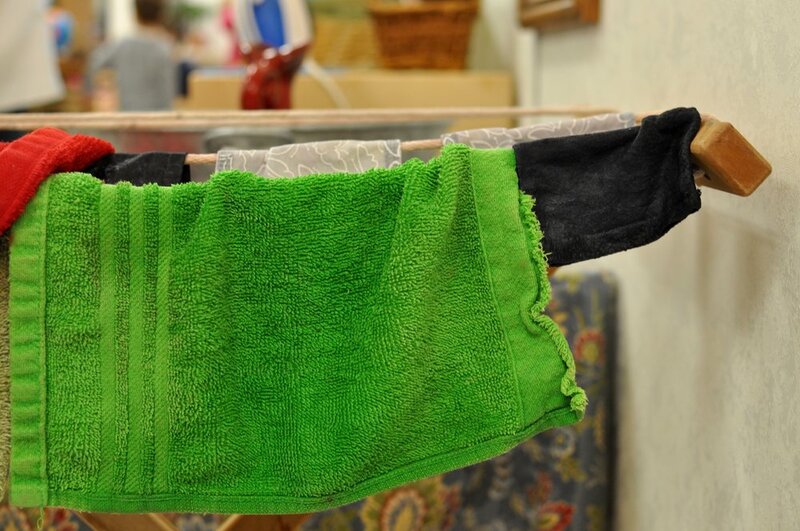 The used cloths are then placed into a basket for a child to wash later. 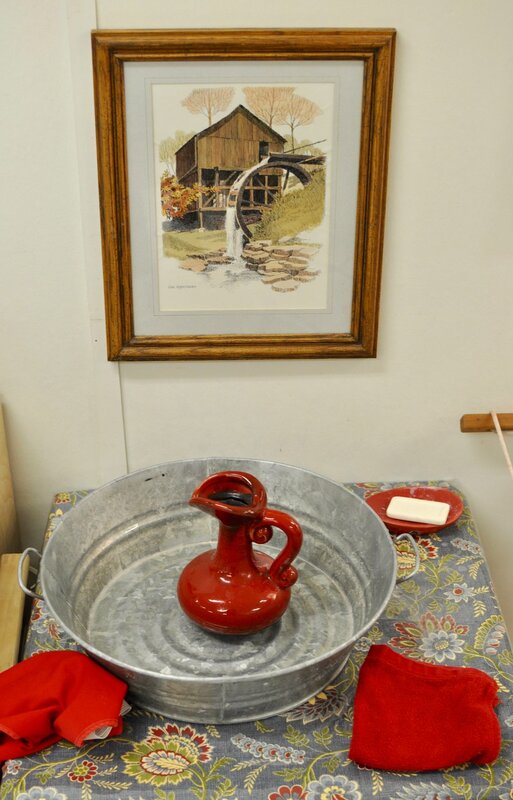 The pitcher, soap, scrub board, and bucket are all set up for the child to complete the work. 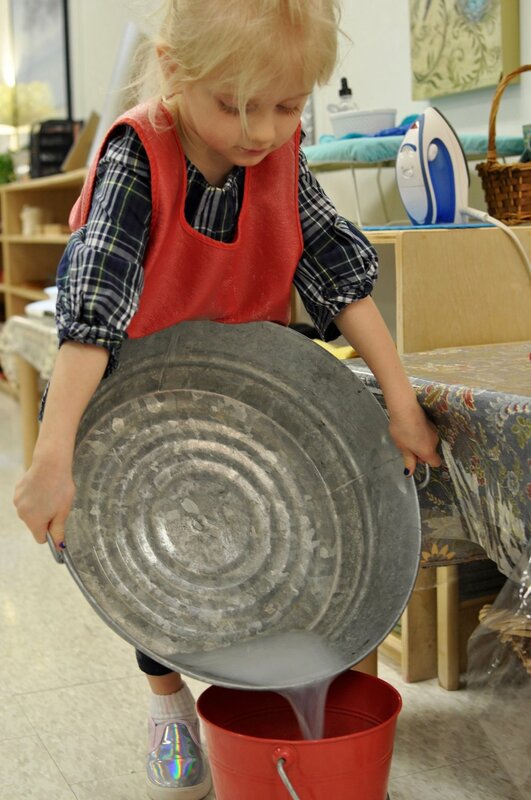 The child pours clean water into the basin, then places the washboard in the center. 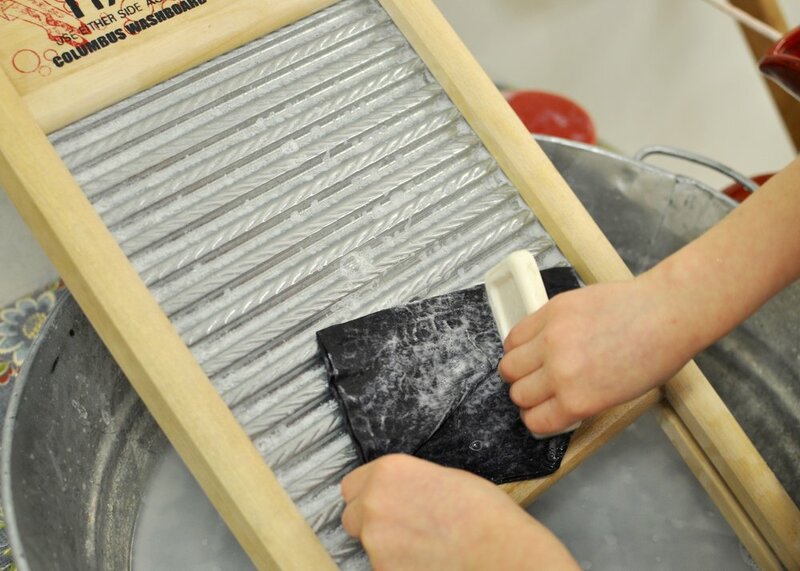 She lathers up the cloth with the bar of soap and rinses the cloth out before ringing it and hanging it up to dry on the drying rack. This child took such delight in the work, she hardly noticed me taking photos! And perhaps her favorite part, aside from working intently with her hands in the water (what child doesn’t love the amazing properties of water?) was the end, when it was time to pour the dirty water into a bucket below. 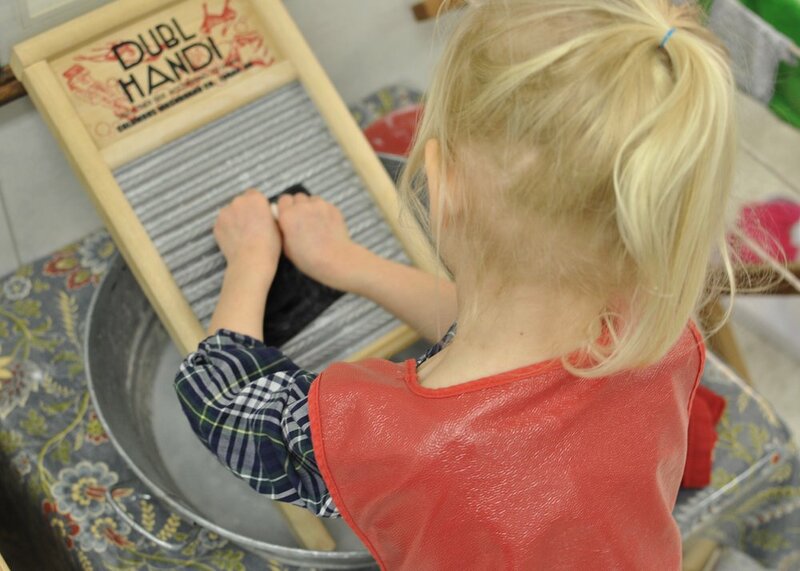 So much of this work interests the child: the water, watching the dirt come out of the cloths, the motion and sound of the bar of soap on the scrub board, right down to the clean-up. All of it comes down to the child’s sense of ownership over her work and her classroom. The care of the environment is a necessary and enjoyable part of a primary child’s daily work.